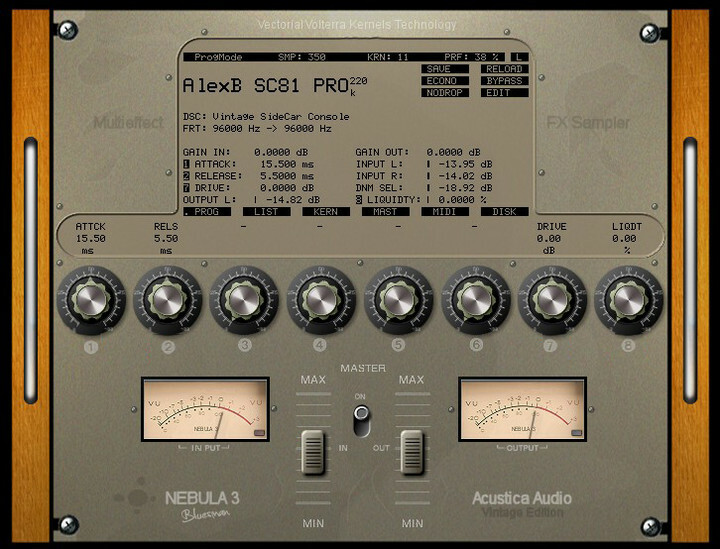 Alessandro Boschi has released Vintage SideCar81 Console PRO, a library of programs for Nebula 3 by Acustica Audio. Custom built hand made by AlexB, the sidecar console has eight legendary vintage ClassAB preamps and equalizers which come from the ’80 era with “a lot of character”, and a vintage pure ClassA summing amp. A perfect tool for your submix or vintage mastering tone. 27 different programs include Console Input Channel mono & stereo, Console Buss Out, Precision Analog Panner, and Equalizer programs. Carefully sampled (96kHz) with all natural imperfection and nuance. Precisely programmed without normalizing or other destructive digital processing. 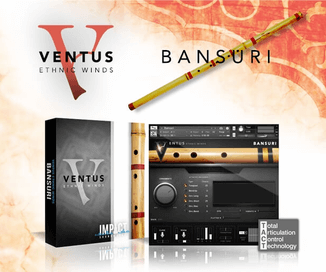 Inlcudes basic programs with full dynamic and harmonic contents and special edition “se” CPU friendly programs. 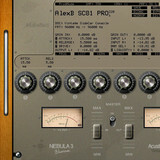 Vintage SideCar81 Console PRO is available to purchase for 40 EUR. Previous customers get 25% discount.